We have a new way to like someone's photos. Pinterest has been added to the Twitter, Facebook, Google+ and StumbleUpon buttons, giving more opportunity for those photos you like -- and for your own photos as well. At the rate we're going in adding social-networking buttons, I've changed the group name to be as generic as possible. 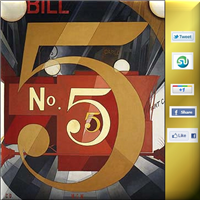 We're now just 5 Social Shares!, which should cover it all (grin). Yet another way to show off popular images and machinima! Criteria: an item must have a minimum of 5 "shares" from any of the social networking services current at the time. You can combine categories to get to at least 5, so it will be easier to get into the group. No other criteria needed at the present time, other than (preferably) keep the work relatively clean. All grids welcome.